It’s amazing how one ingredient can transform a basic dish into something special. In this case, it’s a jar of Strawberry Jalapeno jam. The jam, along with just a handful of other simple ingredients, creates a sweet and spicy twist on simple roast pork tenderloin. In about 40 minutes, you can have this main course on the table. 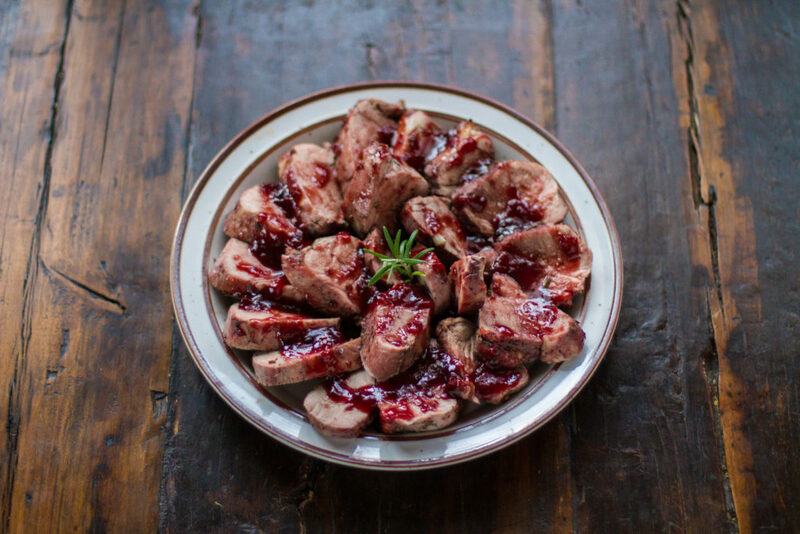 Season tenderloin with fresh rosemary, salt and pepper. Remove meat from oven and let rest for 5 to 10 minutes. Slice and drizzle the remaining glaze over the top. Serve immediately.